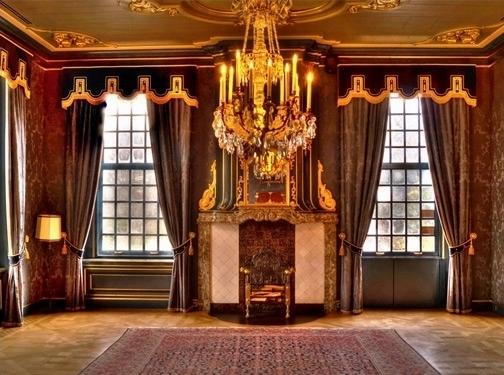 At Bespoke Curtains & Blinds, the arrival of every customer equals an exciting challenge of ensuring that we professionally design and fit windows, or doors, to desired requirements. 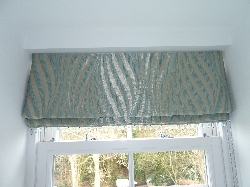 Irrespective of size, or shape, we will make curtains and blinds fit the space and look amazing. We have created tailor made curtains and blinds for bedrooms, bathrooms, living rooms, dining rooms, offices, conservatories, just to name a few. So, do not be put off in thinking that your area will have to remain bare –we will be able to help you! By having access to great quality accessories (tracks, poles and rails) we are confident that you will find what you are looking for with us. There will be no need to shop around when you see our wide variety of fabrics because we have a huge choice. Why? Because we have accounts with many top fabric houses which means that you will have the best and widest choice of quality fabrics to choose from. As well as curtains and blinds, we also specialise in upholstery, which can help tie the theme of a room together. 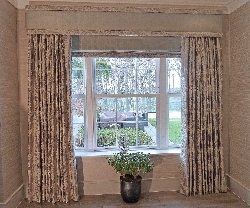 Curtain tie-backs, pillow cases or sofas can all be covered to compliment the newly adorned window or door. Our products are made of the highest quality and we offer to install and service your tracks and rails for the first three years! Check out some of past achievements in our gallery. So, if you are looking for inspiration and want to change the interior of your home – look no further! A free consultancy service is offered to all customers living in London, Essex, Kent, Sussex and Surrey. A solution to match your style and budget awaits at Bespoke Curtains & Blinds – we look forward to working with you! 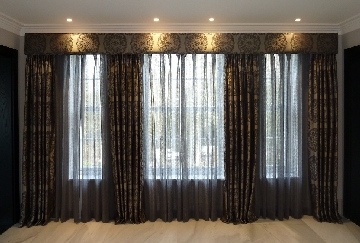 UK (Essex) based business - established in 2004 - providing customised curtains and blinds. Website includes details of products and services provided, work examples (via gallery), testimonials, geographical areas covered, associations, full contact details.